If you are fortunate to have an elevated deck, you likely get much enjoyment from it. 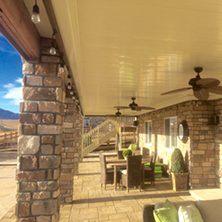 However, there is a common problem with decks in Colorado because of the extreme weather conditions. That problem lies in the wet, unusable space beneath your deck. With the installation of a quality deck drainage system, you can make use of that empty space by keeping it dry within your Brighton home. 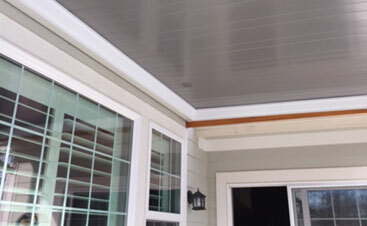 Our deck drains will improve the functionality, safety, and efficiency of your deck in Brighton. Click here to get started! We're sure you have questions about our under deck drainage systems, and our team of experts is more than happy to answer all of them. Click here to find out more. 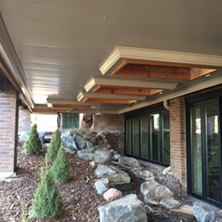 Check out some of our past deck drain projects to get an idea for your future deck. To learn more, click here or contact Brighton's leading under deck drain professionals now! Our team of craftsmen take great pride in their work and make sure the job is done right. Call or email today to get a quote on a new deck draining system for your home! If you are fortunate to have an elevated deck, you likely get much enjoyment from it. 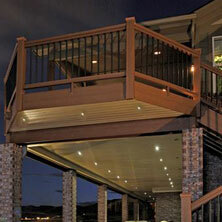 However, there is a common problem with decks in Colorado because of the extreme weather conditions. That problem lies in the wet, unusable space beneath your deck. With the installation of a dry-b-lo designer deck drain system, you can make use of that empty space by keeping it dry. Our team at Colorado Deck Drain Experts would be pleased to offer you more information when you give us a call. 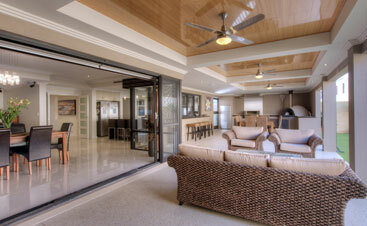 You can also email us at anytime at sales@deckdrainexperts.com! At Colorado Deck Drain Experts, we have more than 18 years of experience. 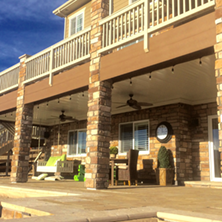 We have helped many homeowners such as yourself all along the Front Range, and throughout Colorado to improve the value, appearance, and function of their decks and under deck area. With a deck drain system from us, you won’t have to worry about your friends or family seeing obvious or unappealing features underneath your deck. A high-quality deck drain system can free your outdoor living area of water and even be hidden away so that it cannot be seen easily by an unknowing eye. 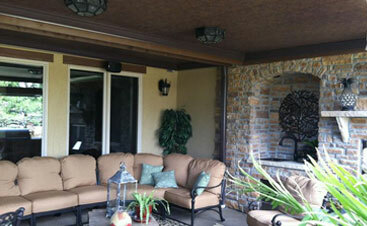 Our team is highly experienced and knowledgeable, and we are proud to have earned a reputation as skilled craftsmen. We truly care about our customers and ensuring that you are happy with the finished product. When you hire us for the installation of a deck drain system, you can rest assured that we do all of our work ourselves and never use sub-contractors. We have completed thousands of installations during the time we have been in business and look forward to your home being our next project. To request a free quote on your new deck drain system, give us a call today or send us an email at sales@deckdrainexperts.com. We proudly serve Brighton, Colorado and its nearby surrounding areas.